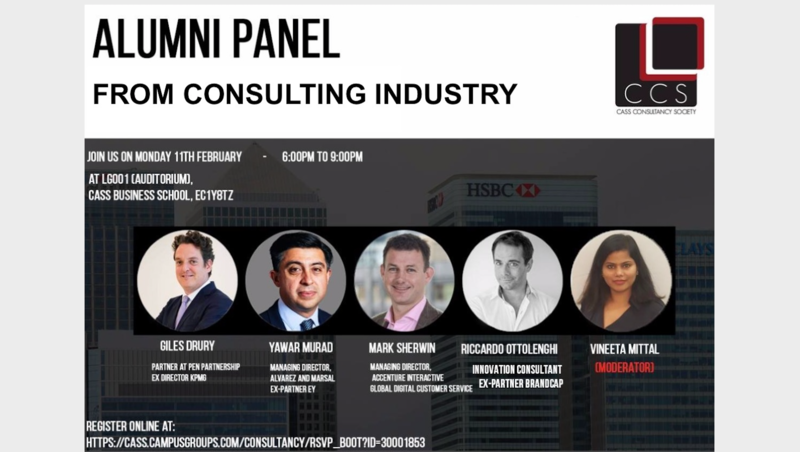 Cass Consulting Society is delighted to host an alumni panel event on Monday, 11th Feb 2019 from 18:00 to 21:00 at ‘The Auditorium’ (LG001). The panel event will be followed by informal networking drinks, providing you an opportunity to build valuable professional relationships with your Alumni who have built successful career in the field of consulting. Also, find out how they were able to reach where they are today and what challenges they are facing now. Please register now as the seats are limited.